Basically, this allows up to three devices to connect to the speaker at the same time and take turns playing music. Everything is controlled by the "host" (the person who started the Block Party), which allows them to play/pause music on any of the connected devices, as well as change the volume of the speaker and boot users who don't want to play nicely. I've been testing this new feature for a few days, and while it's definitely got its fair share of quirks right now, it's still pretty neat. Before we get into how this feature works, let's first talk about which speakers will actually be getting the update. The shortlist is pretty easy: MEGABOOM, BOOM 2, and ROLL. Noticeably absent from this list is the original BOOM, which is just slightly over a couple of years old at this point. I of course asked about this omission, and UE basically told me that the BOOM has very limited memory compared to its successors, so they're still unsure if they can get Block Party working. So, yeah, I wouldn't count on it. Sorry OG BOOM owners. But if you've got one of the newer speakers, you're in the club. Here's what to expect. 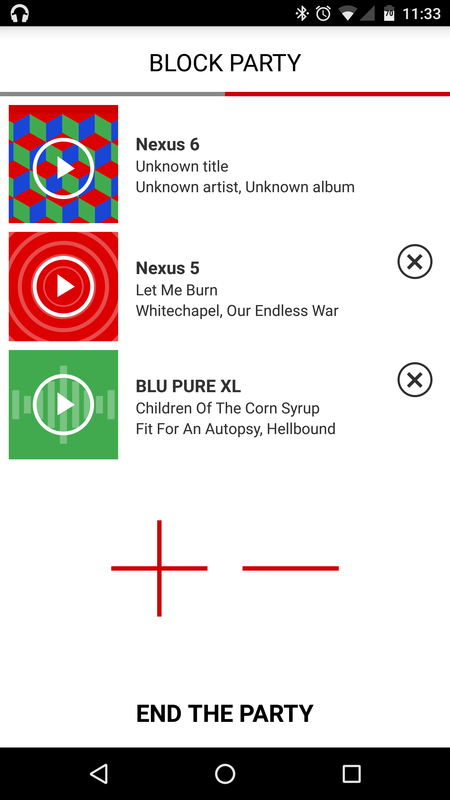 To fire up Block Party mode, you'll need the app for your particular UE speaker. All of my testing was done on the MEGABOOM, so I'll be working with the app that was made just for that speaker. Between you and me, I wish UE would just release one app that worked with all of its speakers. It's also worth mentioning here that this update brings "tap controls" to MEGABOOM, which allows users to control tracks by tapping the top of the speaker, just like on the BOOM 2. 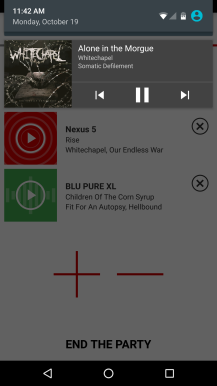 Once in the app, a quick swipe to the left will pull up the option to enable this new mode (shown above); after that, a short list of the three "DJs" will appear, with the primary device filling the first spot. The speaker will enter what's basically a never-ending pairing mode of sorts, so other devices will be able to connect the entire time BP mode is on. That's actually one of the coolest things about this: it doesn't require any device outside of the host to have the speaker's app installed — users are just able to connect and start playing. Easy peasy. 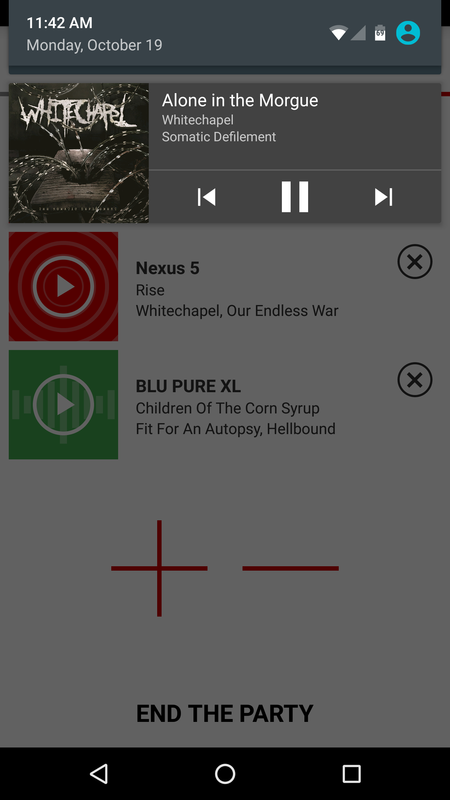 This brings me to the first quirk of this feature: the app was able to see the other devices and what music was playing on each, but this info never showed up for the host device (my Nexus 6). 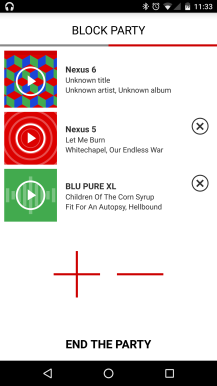 I could play/pause whatever was playing on the Nexus 5 and Blu Pure XL (the second and third DJs, respectively) from the MEGABOOM app, but not the primary device. It didn't even know when the N6 was playing music to begin with. It's just odd. Also, regardless of which device is actively playing music, every notification that hits the host device will play through the speaker. It's annoying as hell. And on top of that, there's a brief delay every time the host is unlocked, and any time the other non-playing devices are in use, the music is choppy or just basically stops. So if you're having a Block Party and the connected users want to actually check something on their phone, get ready for some hesitation on playback. And possibly high blood pressure from the frustration it will cause. 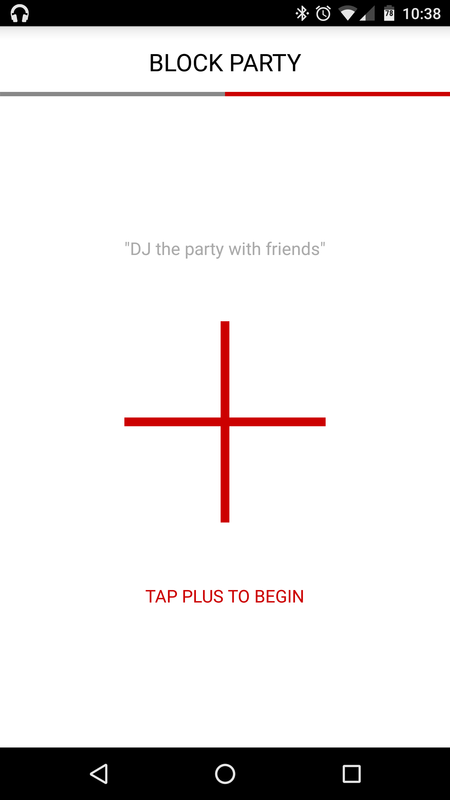 If that happens and one of the DJs just can't seem to stay off his or her phone, the host can also boot users pretty easily: there's an X next to the device name — just hit that and they're gone, leaving room for someone else to connect. 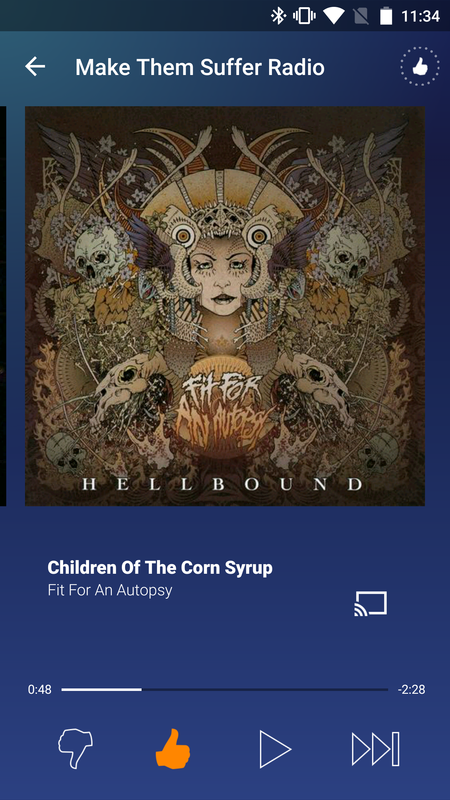 Also, if the host happens to hate a particular song that's playing on someone else's device, they can skip it. Overall, Block Party is a pretty nifty update, though it's not without its faults. Still, if you've got a few people over and you're looking for a way to jam together without having to disconnect and reconnect every time someone wants to play something else, this is probably one of the better ways to do it. The update should be available to all applicable speakers today, and the app updates will be hitting Google Play shortly. NEWARK, Calif. — Oct. 20, 2015 — Today Ultimate Ears has once again reinvented what a great speaker really can be by making its award-winning lineup of 360-degree speakers even more awesome with the introduction of Block Party for UE BOOM 2, UE ROLL and UE MEGABOOM. 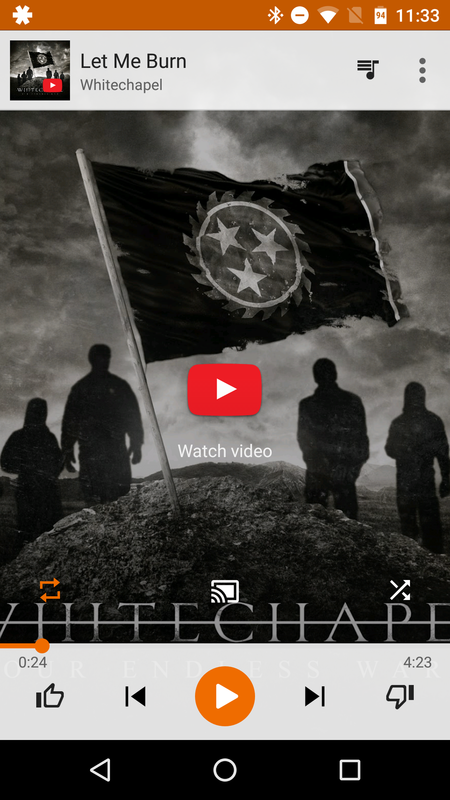 This new feature gives music fans a new way to share and experience music. Through any UE app, the Block Party feature lets three friends connect to a single UE BOOM 2, UE ROLL or UE MEGABOOM and use your favorite music services to share songs through the same speaker. Music fans are now in control like never before, with the power to channel their inner DJ by controlling the playlist and discovering new music all night long. Plus, today’s app enhancement brings the much-loved UE BOOM 2 Tap Controls feature to UE MEGABOOM, so you can leave your phone in your pocket and play, pause and skip songs directly through your UE BOOM 2 and UE MEGABOOM, simply by tapping the top of the speaker. The latest ground-breaking capabilities of the UE speakers build upon what the app already provides, including the ability to wake up in the morning to your favorite music through the alarm clock, custom-tune your speaker using the five-band equalizer, remotely turn on and off the speaker and pair multiple UE speakers through Double Up. 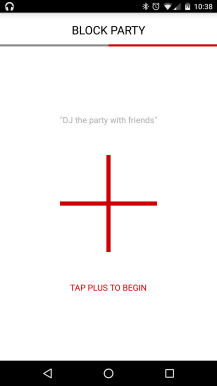 Block Party is an app and speaker enhancement and is available on UE BOOM 2, UE ROLL and UE MEGABOOM through the UE BOOM, UE ROLL and UE MEGABOOM apps. Tap Controls is an app enhancement available on UE BOOM 2 and UE MEGABOOM through the UE BOOM and UE MEGABOOM apps. The app enhancement is expected to be available through the iOS® and Android™ app stores on October 20. For more information, please visit www.ultimateears.com.